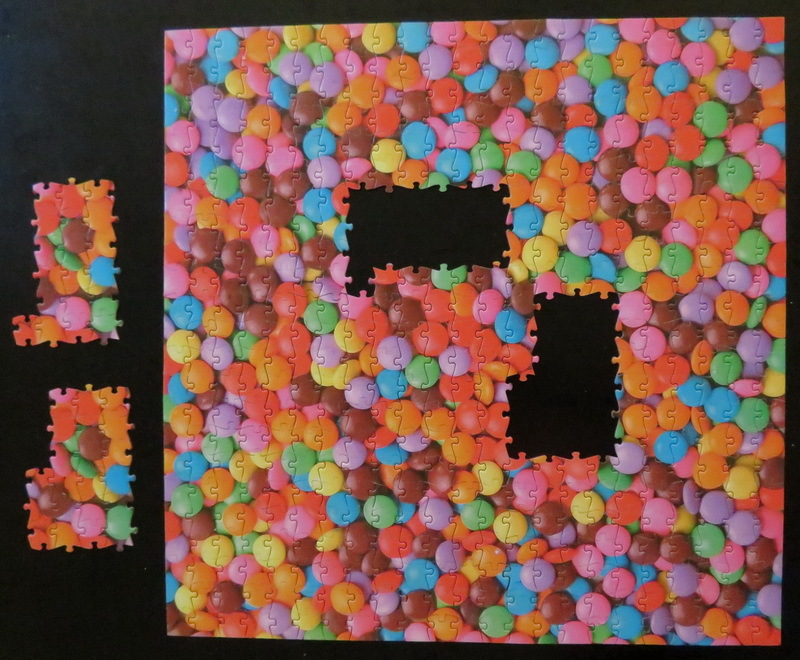 Not only does this picture have the same image on both sides it is cut so that the pieces are interchangeable. 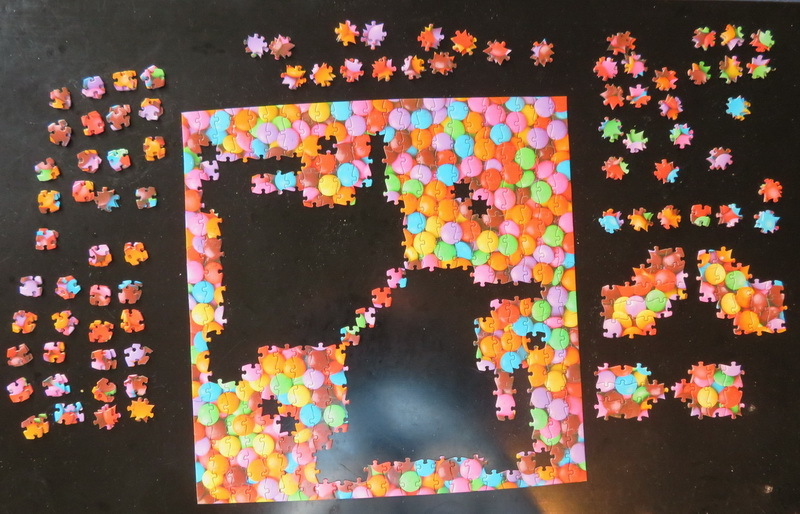 I used this to divide up the pieces into pairs, then when I identified where one fitted I could immediately place the other. Click on the images below for more detail. 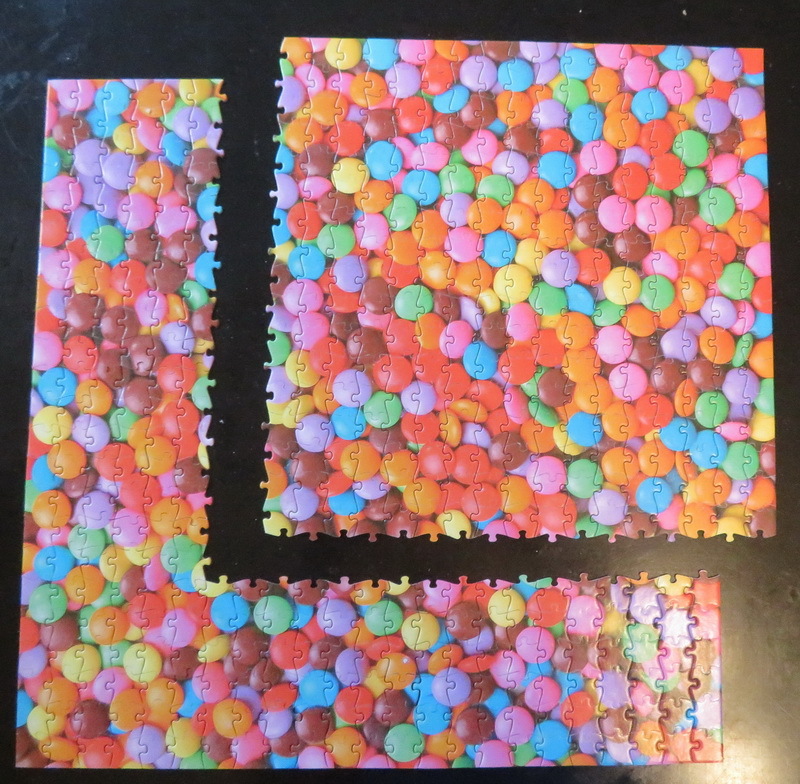 The pieces around the jigsaw show the matched pairs, those in the box remain to be sorted. You can see the symmetry in this second image, flipping the whole image along the SW/NE diagonal leaves it unchanged. The pieces along this diagonal are their own partners, being the same on both sides. Following this approach led to the position in this image, which looks like we are almost there. Unfortunately this was where things got difficult, the two exterior shapes don't fit in the holes. 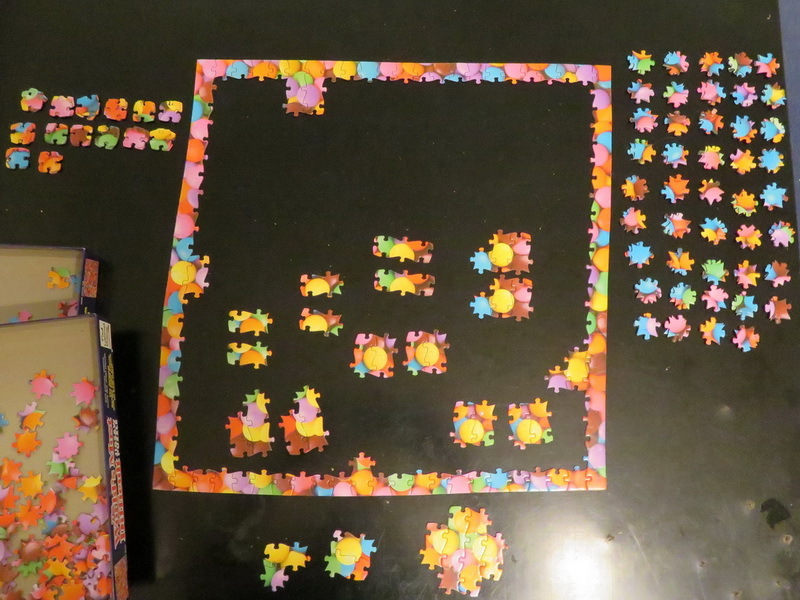 This is because although the pieces are almost perfect images there are some slight deviations. Most fit happily in either position but some are sufficiently different that they disrupt the symmetry. To complete the picture I had to identify a sub-set of pieces that were definitely of the same side and then transfer the remaining pieces one at a time to this pure template. 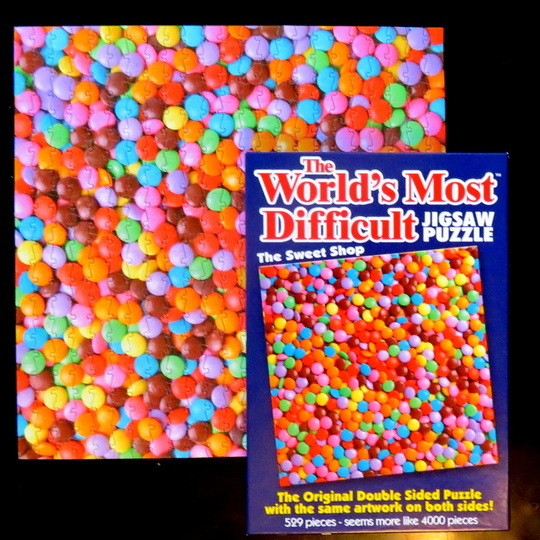 The final image shows the aligned image on the top right and the compromised version on the bottom left.